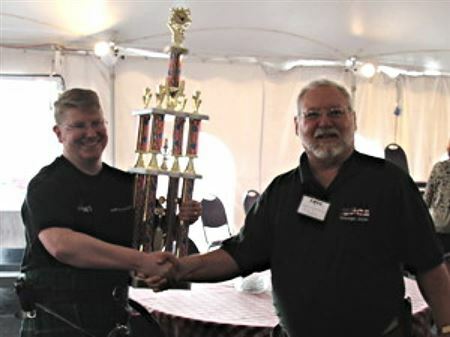 The United States Slow Smoke Championship is held each year at the Chicagoland Pipe and Tobacciana Show traditionally held in May of each year. 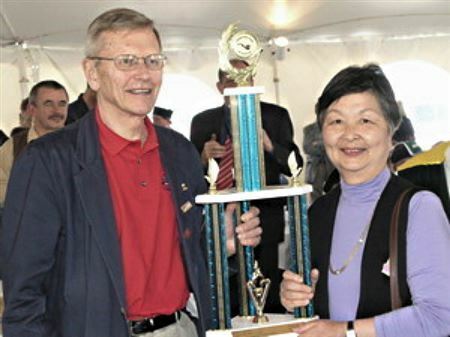 The photos and times below are for the winners among competitors from the United States. 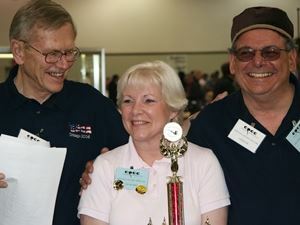 Please visit the individual page above for each year in the menu above to find the overall Champion who might have been a competitor from a foreign country. Overall winner was Lev Vasilyev with a time of 1:33:38. The national champ was Allen Boyd with a time of 1:14:02. Rie Jakobsen was the women's champ at 1:06:56. 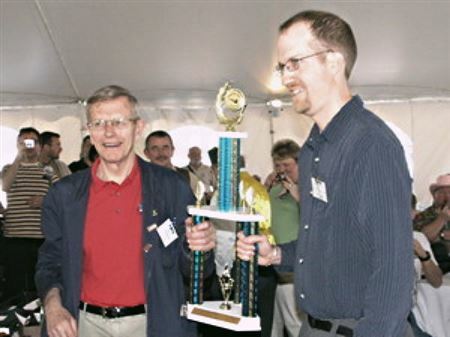 The team competition was won by the St. Petersburg Pipe Club. 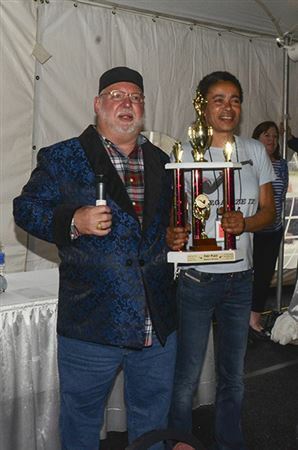 On May 3, 2015 at the Chicagoland International Pipe and Tobacciana Show, the 13th US national slow smoke competition was held. The overall winner was Lev Vasilyev (Russia) with a time of 1 hour, 32 minutes and 0 seconds. 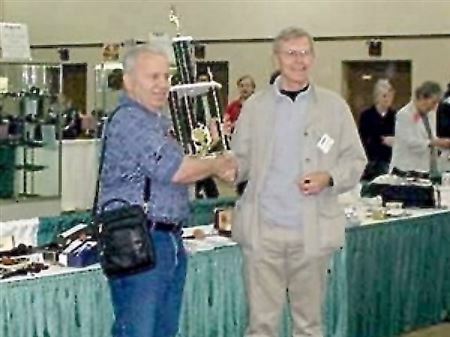 The US champion was Mike 'Doc' Garr with a time of 1 hour, 15 minutes and 2 seconds. 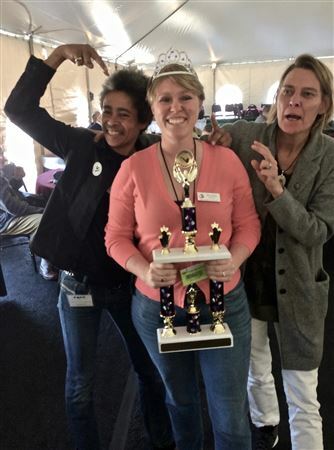 Manduela (Denmark) was the winner in the Women's division with a time of 59 minutes and 34 seconds. 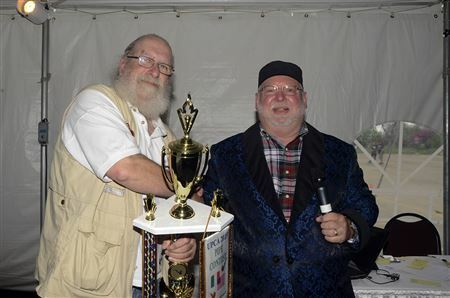 On May 5 at the Chicagoland International Pipe & Tobacciana show, the 2013 National Pipe Smoking Championship was held. 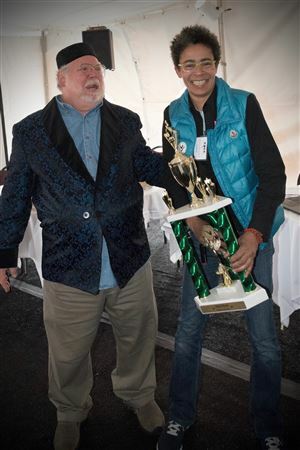 Highlights were Santiago Perez, from Mexico, was the overall winner at 1 hour 35 minutes and 4 seconds. 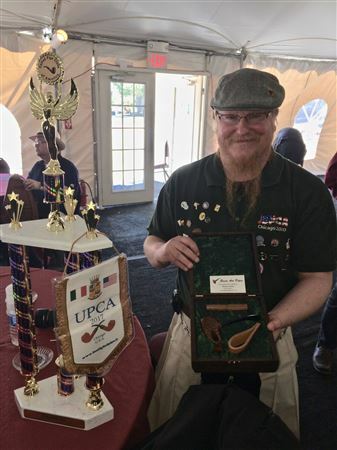 Chris Karas, Arrowhead Pipe Club, came in first place among Americans at 1 hour 14 minutes and 40 seconds. 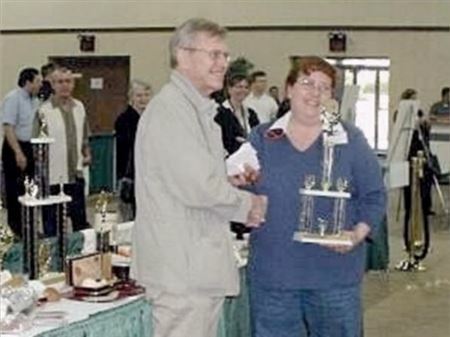 It is the first time an American has twice placed first. 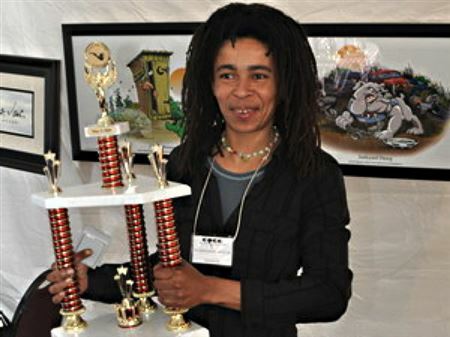 Claudia Marsh, The Order Of Collegiate Pipe Smokers, was the winner in the women's division at 48 minutes and 16 seconds. 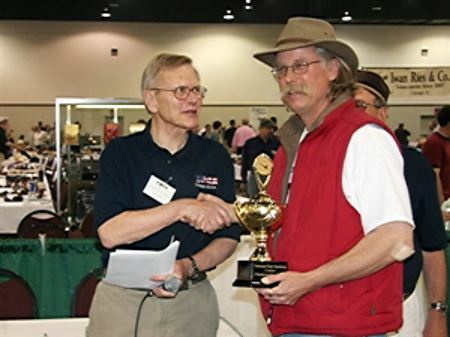 Official Time Record and results of the Pipe Smoking Contest held on May 6, 2012 at the Chicago Pipe Show, St. Charles, Illinois, U.S.A. 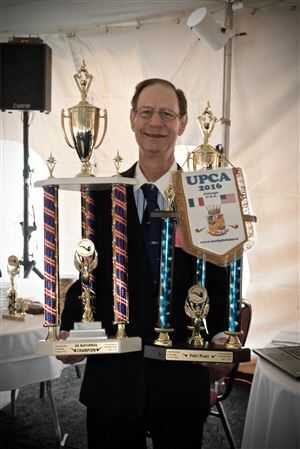 This year’s United Pipe Clubs of America (UPCA) US National Champion and Overall Champion is Mike “Doc” Garr. 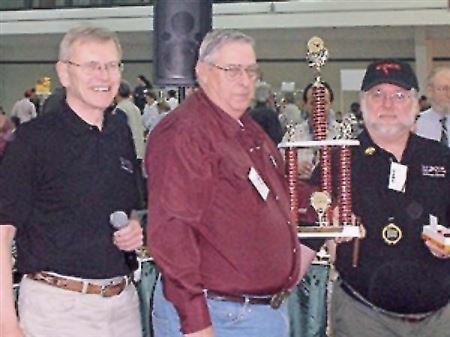 Doc is president of the Pocono Intermountain Pipe Enthusiasts (PIPE) in Wilkes Barre, PA. 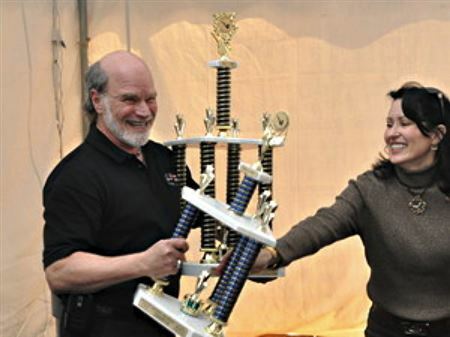 He has been competing nationally and internationally since 2002 and was the Northeast Regional Champion in 2007 and 2008 and the Southeast Regional Champion in 2009. Manduela is this years Women’s Champion, repeating her win from 2010. 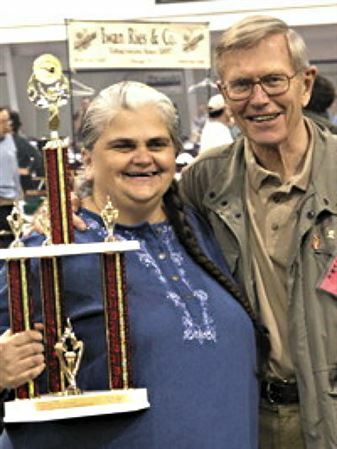 She is well know as a premier Danish pipe carver. Her pipes reflect her distinctive style and appreciation of clean lines. First Out was Kevin Godbee. 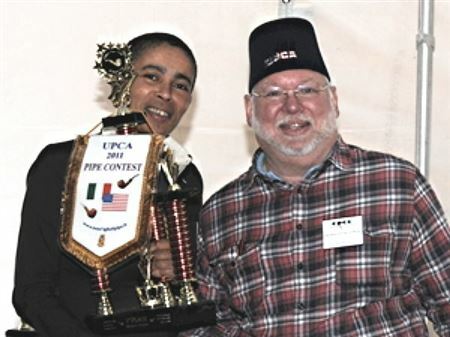 Well known for his website and online magazine PipesMagazine.com. 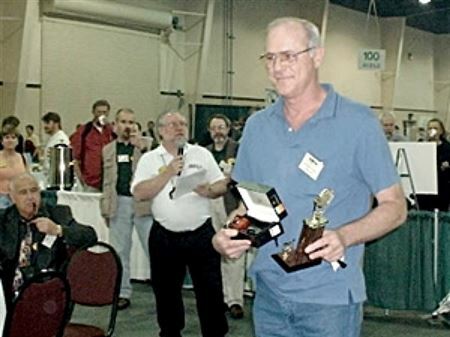 Kevin is a devoted pipe enthusiast and supporter of pipe clubs as a means to promote the “Brotherhood of the Briar”. He is especially excited about educating those new to pipe smoking and expanding their knowledge of pipes and tobacco. 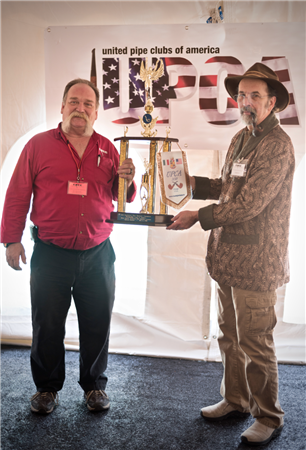 The pipe for this year’s contest was by Antoine Grenard of Chacom, St. Claude, France. The tobacco was Dunhill Early Morning Pipe. 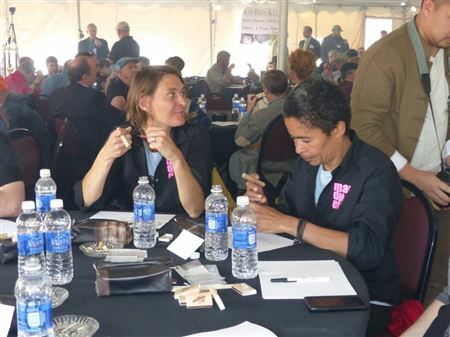 All contestants were very complimentary of the pipe and tobacco, considering them some of the best used in the American competitions. 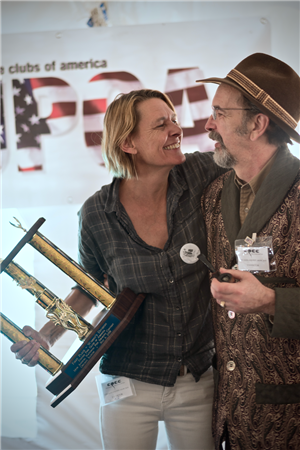 This year’s contest consisted of 50 pipe smokers from the United States, Canada, Belgium, Great Britain, Russia, Sweden, Denmark, Switzerland, and France. 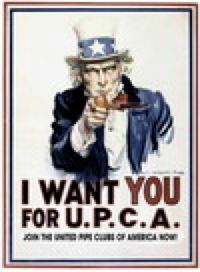 Thirteen UPCA clubs were represented in the contest. 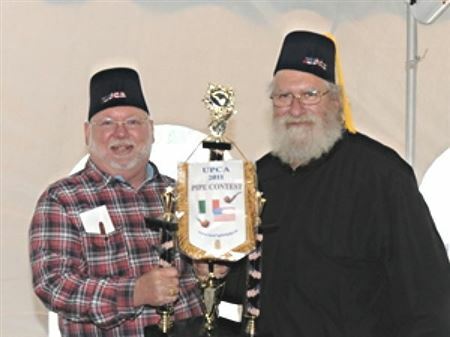 These contests affirm the bonds of friendship among pipe smokers throughout the world. 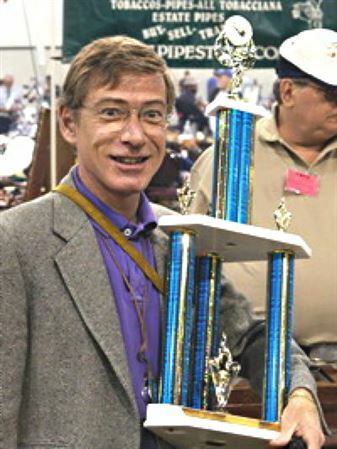 Raymond Lykins of Birmingham, Alabama is the 2010 U.S. National Champion. 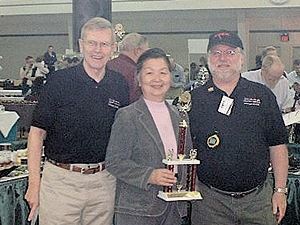 Raymond won the competition at the Chicago Show on May 2 with a time of 1 h 11m 29s. This was the best time by an American and the best overall. Steve van Puyvelde of Belgium was runnerup with a time of 1h 9m 28s. 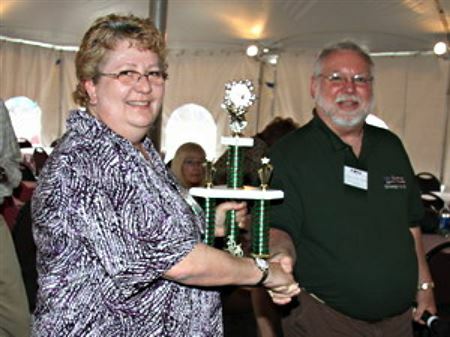 Terri Weist won the women's championship with a time of 43m 55s.